Global Chem-Feed Solutions (GCS) is a manufacturer of custom skid-mounted Chemical Dosing Systems for a wide variety of applications. Skid mounted systems typically include; dosing pumps, mix tanks, agitators and local control panels, complete with all piping and wiring. Applications for Chemical Dosing Systems include: Boiler Chemicals, Cooling Water Chemicals, process additives and water/waste treatment areas. Proposals are based on customer supplied specifications in order to address the specific needs of the client. Skids are engineered, fabricated, tested and documented to comply with applicable U.S. and International industry codes and standards. GCS’s largest market is Electrical Generation Stations because of the high pressure and critical control of chemical additives. Automatic control can be based on plant analyzer output signals or proportionate to plant processes. Typically the control signal is received via the plant DCS system and is used to adjust the dosing pump output. 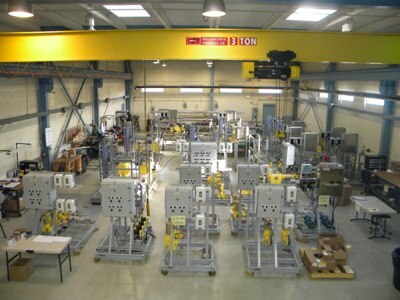 Complex PLC and Data Acquisition systems can be incorporated into GCS equipment to provide constant monitoring and automation of supplied equipment. PLC touch screens and continuous operational indicators can be provided to allow for maximum operator interface and equipment modulation to react to process changes. Additional product information and features are available via GCS literature. Information about other GCS products, such as for fugitive dust control, is available under Typical Applications. 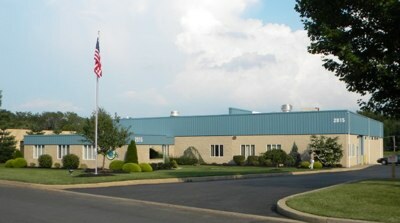 The 16,000 sq.ft, GCS office and manufacturing facility is located in Warminster PA, just north of Philadelphia. Conveniently close to interstate highway systems, GCS exports from the ports of Philadelphia, New York, Newark, NJ and Baltimore, MD. Additional outside and inside storage is available. The owners, managers and employees of GCS are dedicated to customer satisfaction. 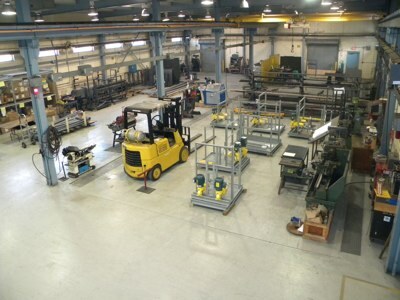 The goal of GCS is to provide quality products, on schedule, with the best value for the customers.